The proper division and distribution of assets and liabilities can be one of the more challenging aspects of a divorce case, even when the parties want to reach an agreement. 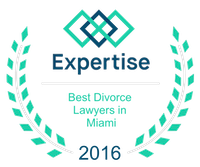 Although most divorces are resolved amicably through a mediated settlement, any settlement must begin with an understanding of the law of equitable distribution and a methodical, detailed, and exhaustive review of all of the parties’ assets and liabilities. The process begins by identifying all of the assets and liabilities of each party, followed by a careful analysis and classification of each asset and liability as either marital or non-marital. Once this phase has been completed, each asset and liability determined to be marital must be objectively and accurately valued before an equitable distribution of the assets and liabilities can be made between the parties. The law begins with the premises that the distribution of the assets and liabilities between the parties should be equal. Only when there are circumstances to justify an unequal distribution based on the relevant legal criteria will the Court order an unequal distribution. The process of identifying, classifying, and valuing all of the assets and liabilities of the parties must be completed before the issue of alimony can be addressed since alimony is based on one spouse’s need for support measured against the other spouse’s ability to pay such support. Need and ability to pay support are based, in part, on a spouse’s assets, liabilities, and the impact these assets and liabilities have on that spouse’s income. It is important to keep in mind that, generally speaking, the law defines all assets and liabilities acquired during the marriage as marital. It does not matter which spouse acquired a particular asset or liability, or whether the asset or liability is titled in the name of one spouse or both spouses. The concept of marital assets also includes any active enhancement or appreciation in value of a nonmarital asset resulting from the personal efforts of either party during the marriage or from the contribution or expenditure of marital funds or other forms of marital assets. Any and all gifts from one spouse to the other during the marriage are also marital assets. All vested and non-vested benefits, rights, and funds accumulated during the marriage in retirement, pension, profits-sharing, annuity, deferred compensation, and/or insurance plans are also initially considered marital assets. Real property that is titled in the names of both spouses, whether acquired prior to or during the marriage, is presumed to be a marital asset, unless clear and substantial evidence shows a contrary intent. Non-marital assets and liabilities include assets acquired and liabilities incurred by the parties prior to the marriage, as well as assets acquired and liabilities incurred in exchange for such assets and liabilities. Non-marital assets and liabilities also include all income derived from non-marital assets during the marriage, all gifts received prior to the marriage, and all assets and liabilities excluded from the marital assets and liabilities by a valid written agreement of the parties. Determining the most favorable distribution of marital assets and liabilities many times requires the specialized services of an appraiser, CPA, or investigator to assist the client. At Vilar Law, P.A., we have established long-standing relationships with professionals such as forensic accountants, business valuators, and real estate appraisers to assist us in the process of identifying, classifying, valuing and distributing marital assets and liabilities, as well as with issues related to spousal and child support.